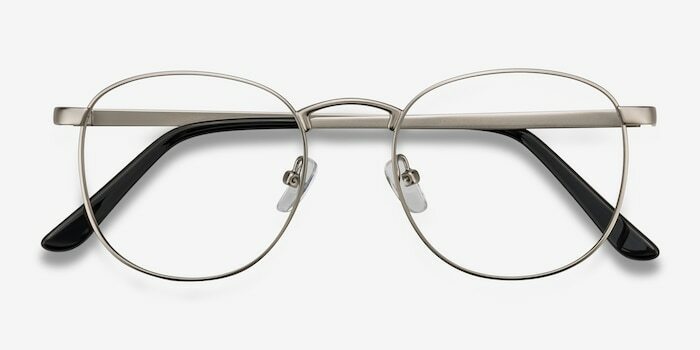 Become the 21st-century saint of style with St Michel. 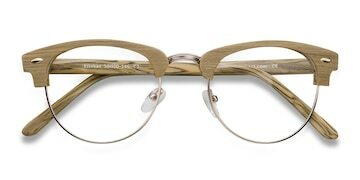 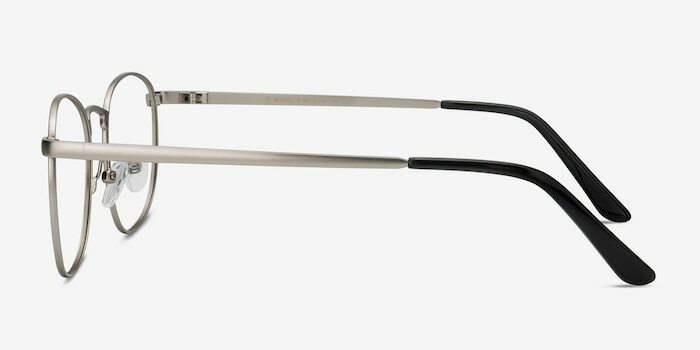 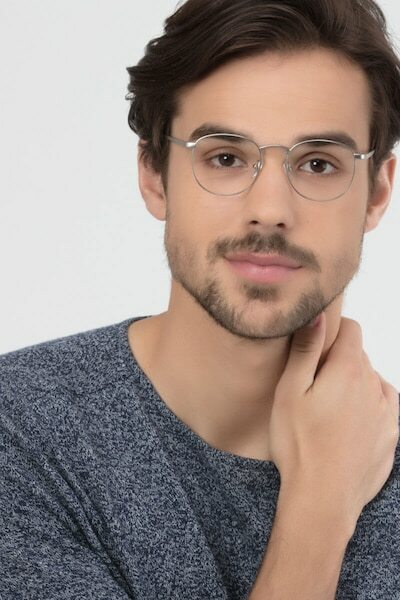 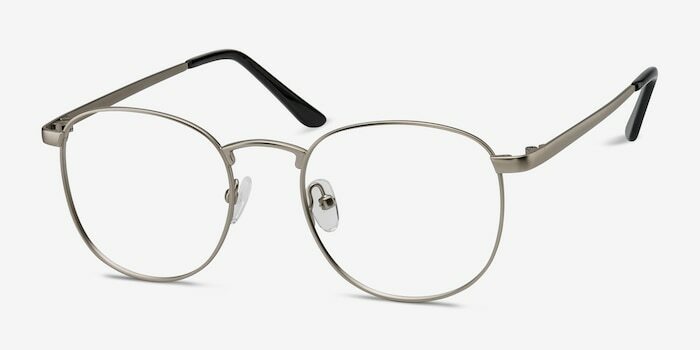 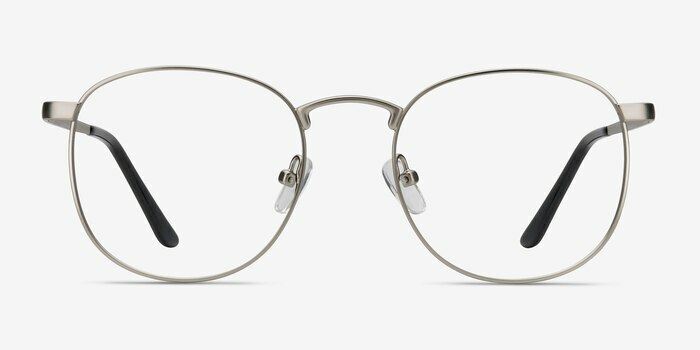 The contrast between sleek, matte silver metal and retro outsize shaped lenses makes these full-rim eyeglasses uniquely trendy. 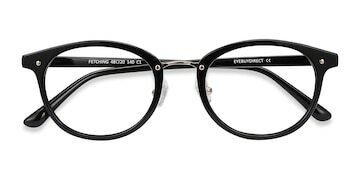 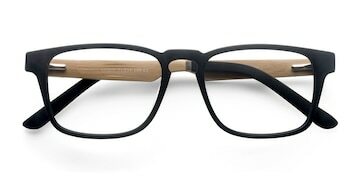 The smooth, slimline design is complemented by a keyhole nose bridge and black temple tips to create a frame that gives an instant, edgy style boost.